When you get sick you want to be able to get treatment from a doctor you know and trust. We can’t decide when illness strikes and, so often we feel ill after our regular GP has closed their doors for the day. That’s where home doctors come in. House call doctors (or home doctors) aren’t confined by opening hours or the four walls of an office and can work with patients in their homes after-hours. The home visit used to be common – doctors would respond to a call by turning up at your doorstep with a black bag of medicines and medical tools. The rate of home visits slowly decreased until the mid-20th century. As medical technology became more sophisticated, doctors transformed how they work and got rid of the home visit, which made visiting the doctors a very similar experience to what we see today. Our house call doctors have updated the home visit of yesteryear, and now doctors are available after-hours to help Australians feel better sooner. During a home visit, doctors can treat patients who are not able to make wait to see their regular practitioner the following morning. This is usually because their symptoms are too urgent to wait, but not urgent enough to pack up and head to the emergency ward. Our service is particularly useful for Australia’s most vulnerable (i.e. babies and the elderly). Hose call doctors are known for their empathetic bedside manner and ability to calm caregiver’s nerves, while effectively treating a sick patient. Doctors first became less common, patients turned to their local emergency rooms for urgent and reliable care when they got sick outside of usual GP hours. This caused emergency room visits to increase, putting additional pressure on hospitals who had to prioritise the treatment of life threatening illnesses. Patients would leave unhappy with the care they had received. You might not need to call an ambulance if your symptoms aren’t too serious, but that doesn’t mean you don’t need medical attention. That’s where you can call a house call doctor. Home doctors are 100% bulk billed if you have a valid Medicare or DVA card, so if you’re unwell in the after-hours you’ll know you’ll be taken care of. 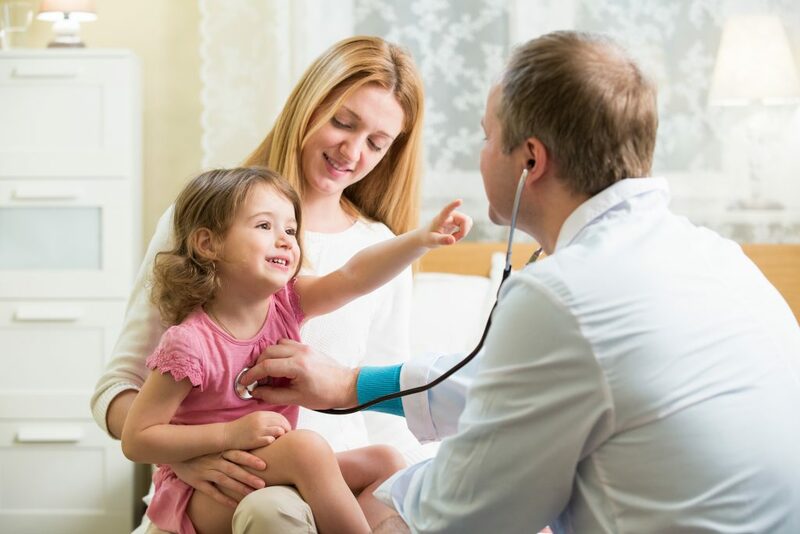 When a home doctor arrives, you will be examined and asked some questions which will help the doctor determine a diagnosis. The recommended treatment will often improve symptoms and leaving you feeling a lot better. If you’re in need of medication don’t worry, the doctor will have some with them so you can take it straight away. To keep your regular practitioner in the loop a copy of your home doctor consultation notes will be send to them, so it’s in their inbox in the morning.